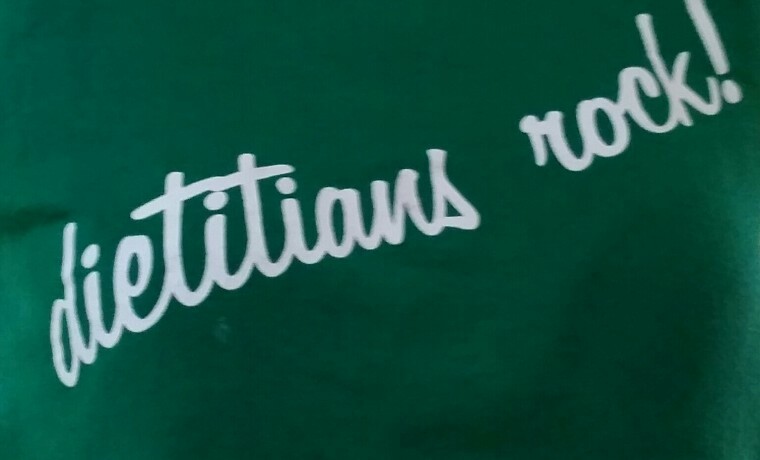 Frequently, people ask me why I became a Registered Dietitian. My love of nutrition began in high school Biology class. I found the section on nutrition and health intriguing. Appropriately, two more assignments followed: an English a paper on my future career endeavors and a project to interview professionals in my desired profession. I remember that day so clearly. My aunt Joyce drove me to St. Elizabeth’s Hospital in Utica. I interviewed one of the RDs there. I am grateful for that RD taking her time to talk with me. It makes me smile, even now. Fast forward a couple years, (after all my research); I decided to go to a local community college to get my Associates in Nutrition. After that, I transferred into a four year school and then completed my Master’s degree. It was during my second year of college that my aunt Joyce (the one who drove me to the hospital in Utica) passed away. She passed away at the young age of 45, from a massive heart attack related to diabetes complications. I remember her asking me to help with her diet. At that time, I didn’t know what I was doing and I never got the chance to help her. Maybe it’s the reason I am so passionate about helping my clients today. If I can help prevent a similar outcome, that is a success. Reason number two for wanting to become an RD- my family has the worst genes ever. I tell my clients every day- you can’t change your family (as much as you wish you could). Seriously though, I have a family history of heart disease (high blood pressure, high cholesterol), diabetes, colon cancer and breast cancer. All of these can somewhat be prevented with a healthy lifestyle. (Remember though- you can change your jeans, not your genes). The third reason, I blame my parents. As a child, they fed me hot dogs and macaroni and cheese. The only vegetables I knew existed were peas, corn and green beans (from a can). I love my parents. They did their best on an extremely limited budget. I also think they did a great job raising me. Their choices in food, on the other hand, needed some work. You can bet I help them out these days.